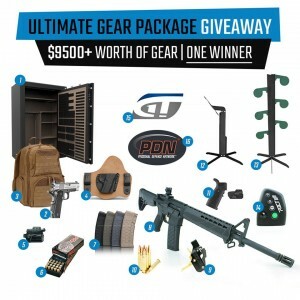 Personal Defense Network (PDN) has teamed up with CrossBreed Holsters, Springfield Armory, Cannon Safes, Gun Talk Media, Crimson Trace, Action Target, Propper International, Recoil Magazine, and Hexmag to give away $9,500 worth of merchandise to one lucky winner. The contest, which started February 17 and runs through March 26, can be entered through CrossBreed’s website: www.CrossBreedholsters.com. Each entry has a chance to enter up to 53 times by liking and sharing on social media. See CrossBreed Holsters’ website for complete details.